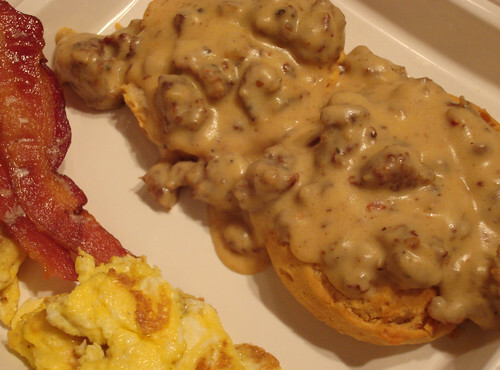 Biscuits and Gravy are an awesome comfort food. They are all things good and bad. Pork and requisite pork fat, starch in two forbidden forms, dairy and milk fat. Biscuits and Gravy are great on a wet winter morning when you just want to stay inside where it is warm. What?! I’m talking crazy now. I can’t even muster up the mental imagery needed for that thought. (Mmm winter!) 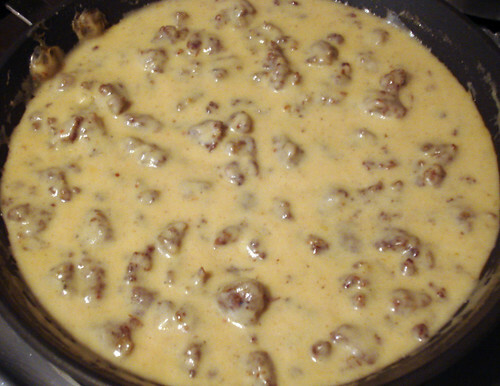 Anyways, the 110+ degrees didn’t stop me from whipping up a batch of sausage gravy and calling it comfort. I don’t have an actual recipe, but I’ll share how I made the gravy. 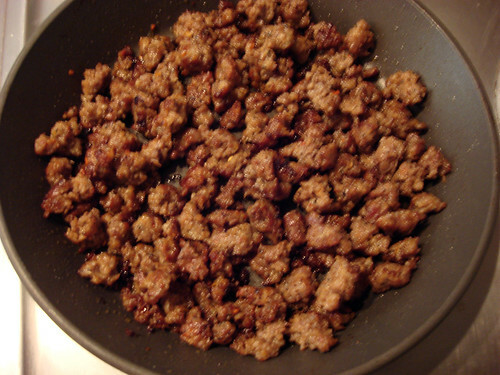 Crumble and brown 1 pound of pork sausage over medium heat. 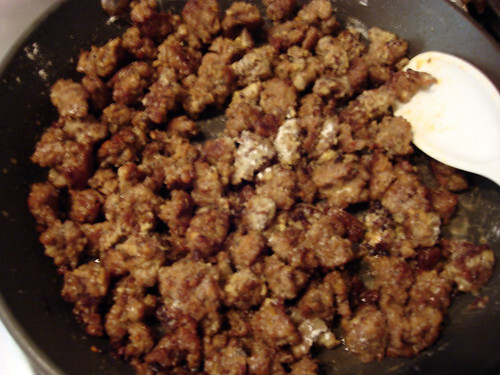 Once browned, add 4 heaping tablespoons of flour to the sausage and stir so that all the sausage pieces are covered. The flour will begin to brown. The longer you let it brown, the darker your gravy will be. 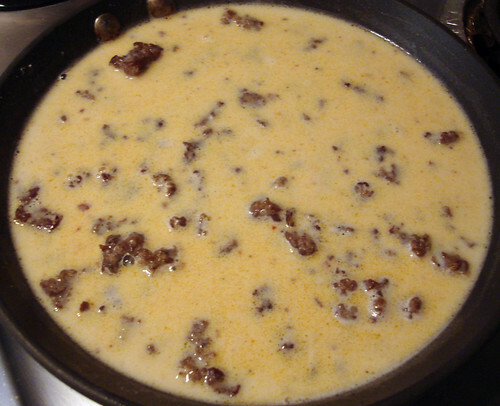 Almost immediately the mixture begins to thicken. Cook it until you are personally satisfied with the thickness you created or until you can drag a spatula across the bottom of the pan and leave a trail. This gravy was a little on the brown side, but I refuse to believe that its color was due to me over-cooking the flour. I barely mixed the flour around before I stirred in the milk. I think it was because I didn’t drain the extra grease from the pan. Oh yeah…the biscuits. I guess I cheated as far as comfort foods go and baked biscuits from a can rather than scratch. I blame Pilsbury Grands! for being so handy and delightfully fluffy. The final result was delicious. Now can someone get me a popsicle?